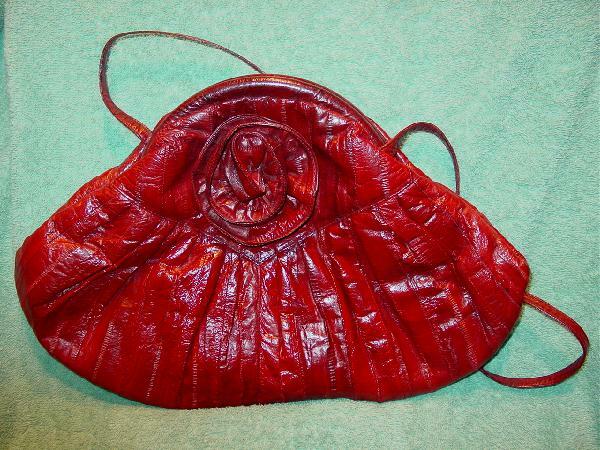 This vintage dark red eelskin purse has elevated eelskin in the shape of a flower on the upper front. 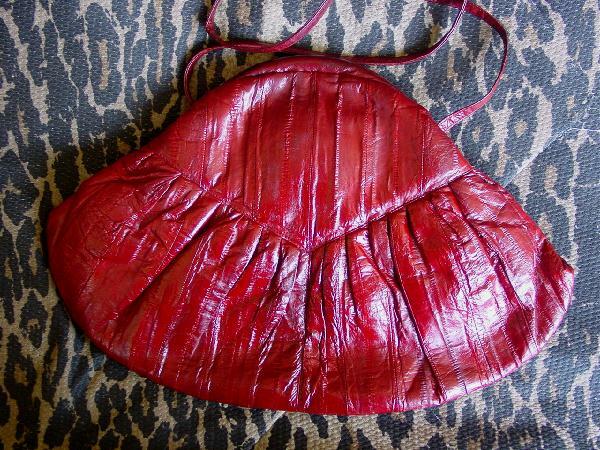 It has a 36" by 3/8" eelskin shoulder strap and a burgundy-wine suede lining. The interior has a multi-tone fabric lined zippered pocket. She picked it up in Paris while modeling there.